Stir together the ricotta cheese, flour, egg, and egg yolk in a large bowl until evenly blended. Transfer dough to a floured work surface and divide dough into 4 pieces. Roll each section into 1/2-inch-thick ropes, dusting with flour as needed to prevent sticking. Cut ropes into 1-inch pieces and place on a lightly floured baking pan. Refrigerate until ready to use, at least 1 to 2 hours. Bring a large pot of lightly salted water to a boil over high heat. Add gnocchi, several at a time, and stir gently. 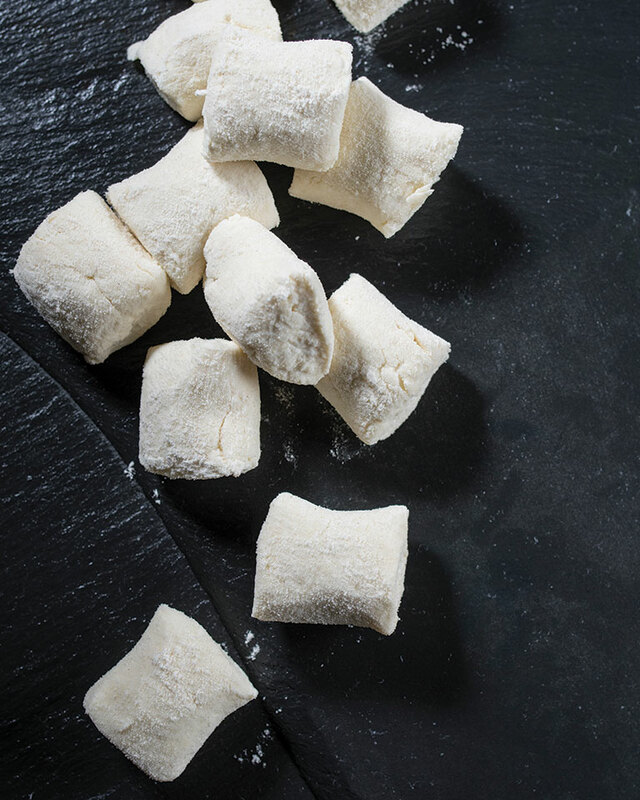 Boil the gnocchi until they float to the surface, 1 to 2 minutes, then drain and finish to your taste. To serve: To go simple, place gnocchi in a large serving bowl, drizzle with olive oil, add a handful of fresh chopped herbs, and toss; sprinkle with Parmesan as desired. These tender little dumplings are also excellent with pesto or your favorite red sauce.